The mutual respect between physicians and patients is part of what makes Cancer Treatment Centers of America® special. Growing up with two pediatrician parents, Dr. Hongyu Fang, Anesthesiologist at Cancer Treatment Centers of America ® (CTCA), Chicago, knew he wanted to be a doctor from a young age. “It is a privilege and an honor for me to serve patients,” says Dr. Fang. 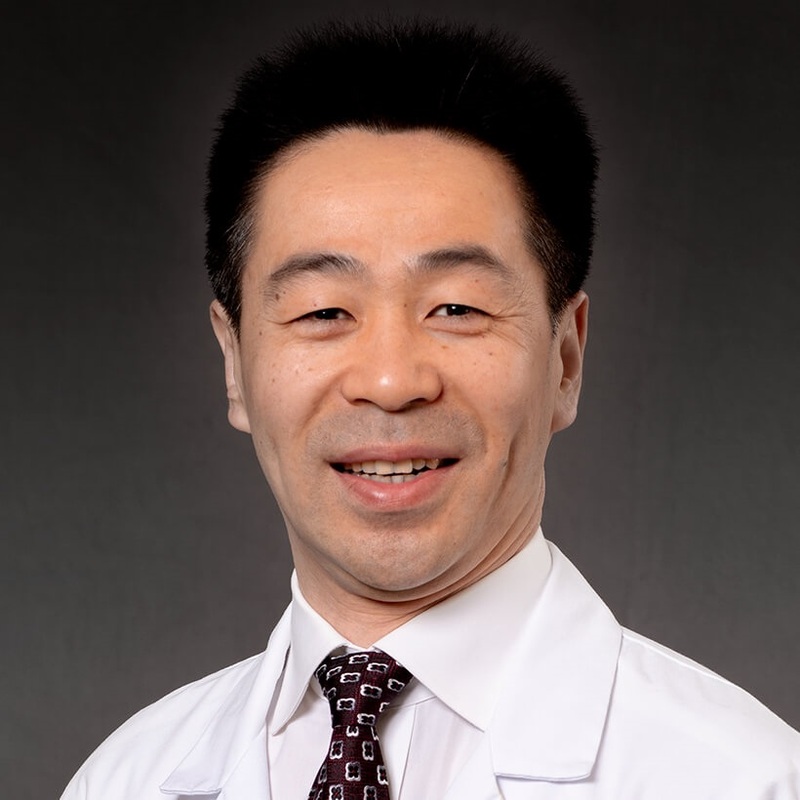 Dr. Fang earned his Doctor of Medicine degree at Jilin Medical College, and was a Resident in Urology & Surgery at the Beijing Friendship Hospital from 1993 to 1997. He completed his Master of Science in Biology at Andrews University in Michigan. Dr. Fang then pursued postgraduate research for many years. He was Research Assistant at Andrews University from 1997 to 2000, and he held several research and teaching positions at the University of Virginia, including Research Instructor in the Department of Anesthesiology. From 2001 to 2008, Dr. Fang was a Resident in Anesthesiology at the Medical College of Wisconsin. He joined CTCA in August 2012. Dr. Fang is licensed to practice medicine the State of Illinois. He is Board Certified in Anesthesiology by the American Board of Anesthesiology. He is a member of the Society of Medicine in China, the International Anesthesiology Research Society and the American Medical Association. As a medical researcher, Dr. Fang has studied many aspects of anesthesiology. His research is published in renowned medical journals, and he has presented his work at numerous national and international conferences. At CTCA, Dr. Fang provides general and regional anesthesiology for patients undergoing many different procedures, from the simplest to the most complex. “Complete teamwork toward individualized patient care leads to an empowering experience for our patients,” says Dr. Fang. Outside of CTCA, Dr. Fang enjoys spending time with his wife and two daughters.